Opening day of the 2017 Hawaii Legislative Session. 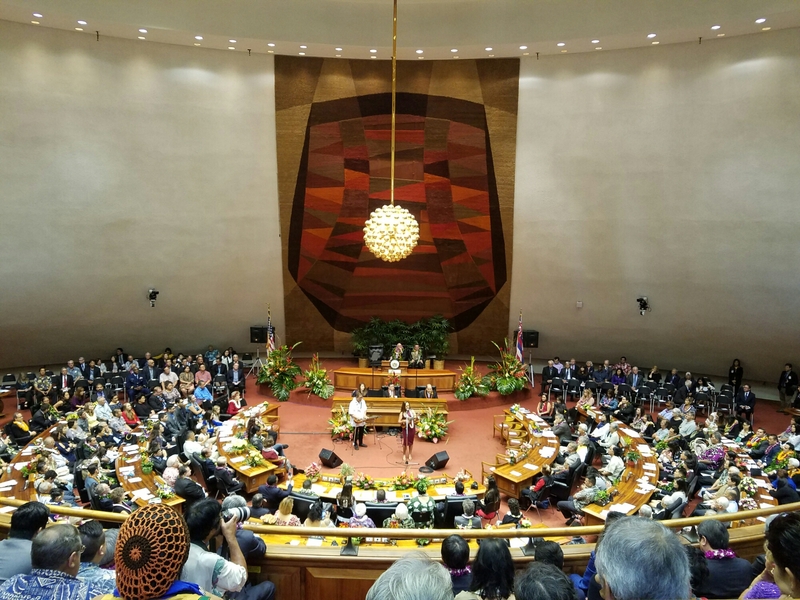 Opening ceremonies of the 2017 Hawaii Legislative Session on January 18, 2017. Nice talk with my friend in my dream, the late U.S. Congressman K. Mark Takai. I woke up this morning of Thursday January 5, 2017 from a wonderful dream in which I had a great talk with Congressman K. Mark Takai who I became friends with while I was a student government leader at the Associated Students of the University of Hawaii at Manoa (ASUH) and Mark was a young newly elected politician in the Hawaii State House of Representatives. In my dream, Mark and I were talking in his old townhouse in Waiau, Pearl City on Oahu, Hawaii. We were smiling and laughing like the times when we first met. At one point we were lying down and staring at the ceiling as we chatted. 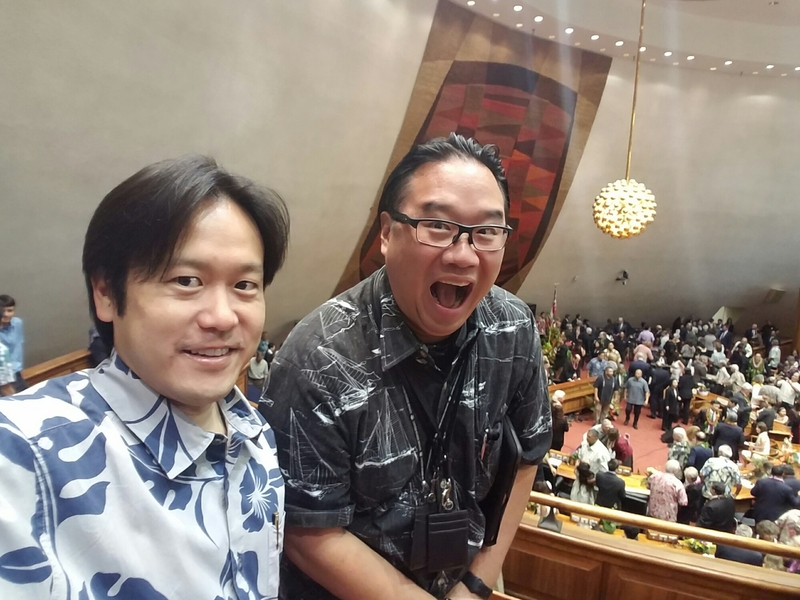 It was like before I got elected into the Hawaii State House of Representatives, which distanced our relationship because I was part of the faction aligned with Hawaii House Speaker Calvin K.Y. Say, a family friend and friend of my late grandfather Maurice Karamatsu. 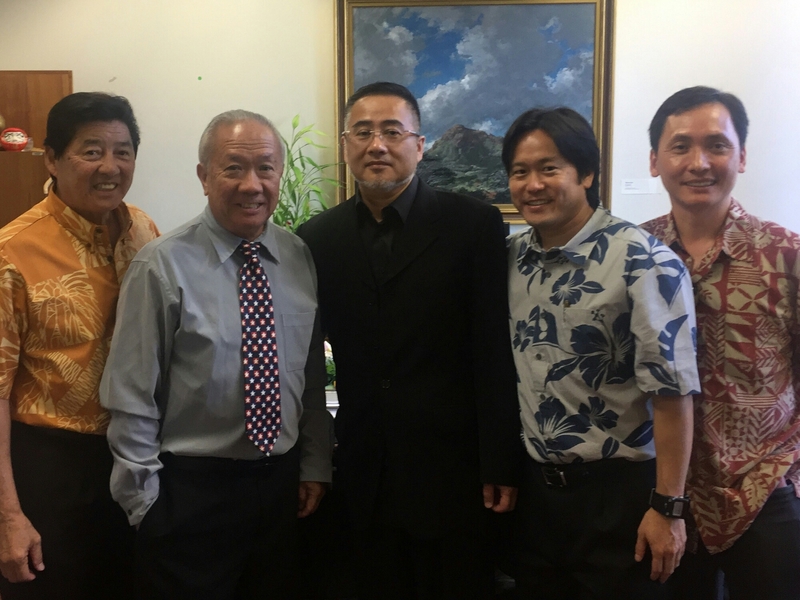 Speaker Say married the daughter of grandpa Karamatsu’s really close friend Stephen Kotake, founder of Kotake Shokai, an import company, and a leader at Jodo Shu Hawaii with my grandfather. I became good friends with Speaker Say, and I know that was hard on Mark because his faction was trying to take over the House from him. Well in my dream, Mark and I were friends like before the whole political faction issue. Prior to Mark passing away on July 20, 2016, I had called his cell phone and left a heartfelt message for him. I’m not sure if he listened to it. I’m hoping that he did. It’s for this reason that I never felt closure with Mark because I wanted him to know that I really enjoyed our times together and that I cared deeply for him as my friend even though we ended up in opposite political factions. In my dream, it felt so good because I knew that the politics didn’t matter anymore to him – all that mattered was our friendship. That was the talk I wanted to have before Mark passed away. I miss him.